"We have no idea how long a technological civilization like our own can last," says University of Rochester astrophysicist Adam Frank. "Is it 200 years, 500 years or 50,000 years? Answering this question is at the root of all our concerns about the sustainability of human society. Are we the first and only technologically-intensive civilization in the entire history of the universe? If not, shouldn't we stand to learn something from the past successes and failures of other species?" Human-caused climate change, ocean acidification and species extinctions may eventually threaten the collapse of civilization, according to some scientists, while other people argue that for political or economic reasons we should allow industrial development to continue without restrictions. In a new paper, two astrophysicists argue that these questions may soon be resolvable scientifically, thanks to new data about the Earth and about other planets in our galaxy, and by combining the earth-based science of sustainability with astrobiology. 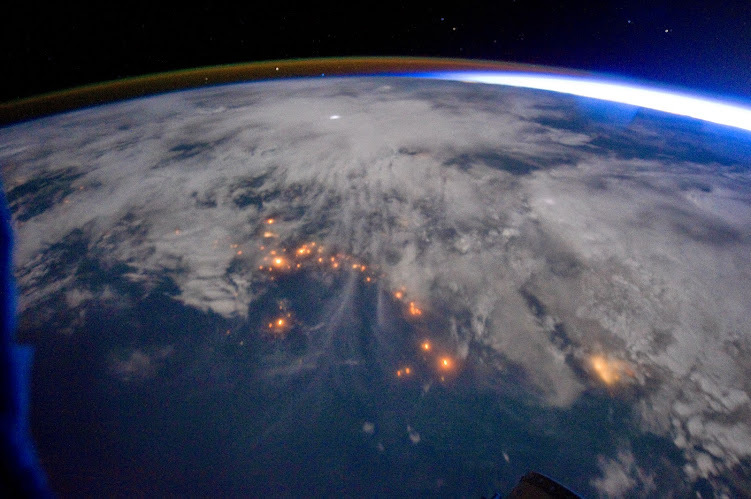 In their paper, which appears in the journal Anthropocene, Frank and co-author Woodruff Sullivan call for creation of a new research program to answer questions about humanity's future in the broadest astronomical context. The authors explain: "The point is to see that our current situation may, in some sense, be natural or at least a natural and generic consequence of certain evolutionary pathways." To frame these questions, Frank and Sullivan begin with the famous Drake equation, a straightforward formula used to estimate the number of intelligent societies in the universe. In their treatment of the equation, the authors concentrate on the average lifetime of a Species with Energy-Intensive Technology (SWEIT). Frank and Sullivan calculate that even if the chances of forming such a "high tech" species are 1 in a 1,000 trillion, there will still have been 1,000 occurrences of a history like own on planets across the "local" region of the Cosmos. "That's enough to start thinking about statistics," says Frank, "like what is the average lifetime of a species that starts harvesting energy efficiently and uses it to develop high technology." Employing dynamical systems theory, the authors map out a strategy for modeling the trajectories of various SWEITs through their evolution. The authors show how the developmental paths should be strongly tied to interactions between the species and its host planet. As the species' population grows and its energy harvesting intensifies, for example, the composition of the planet and its atmosphere may become altered for long timescales. The image below is a schematic of two classes of trajectories in SWEIT solution space. 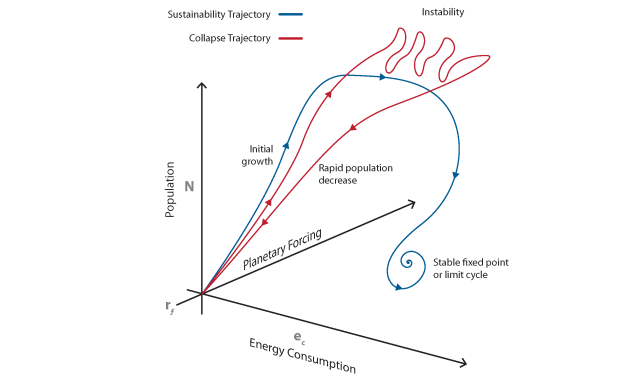 Red line shows a trajectory representing population collapse whereby development of energy harvesting technologies allows for rapid population growth which then drives increases in planetary forcing. As planetary support systems change state the SWEIT population is unable to maintain its own internal systems and collapses. Blue line shows a trajectory representing sustainability in which population levels and energy use approach levels that do not push planetary systems into unfavorable states. Frank and Sullivan show how habitability studies of exoplanets hold important lessons for sustaining the civilization we have developed on Earth. This "astrobiological perspective" casts sustainability as a place-specific subset of habitability, or a planet's ability to support life. While sustainability is concerned with a particular form of life on a particular planet, astrobiology asks the bigger question: what about any form of life, on any planet, at any time? We don't yet know how these other life forms compare to the ones we are familiar with here on Earth. But for the purposes of modeling average lifetimes, Frank explains, it doesn't matter. "If they use energy to produce work, they're generating entropy. There's no way around that, whether their human-looking Star Trek creatures with antenna on their foreheads, or they're nothing more than single-cell organisms with collective mega-intelligence. And that entropy will almost certainly have strong feedback effects on their planet's habitability, as we are already beginning to see here on Earth." 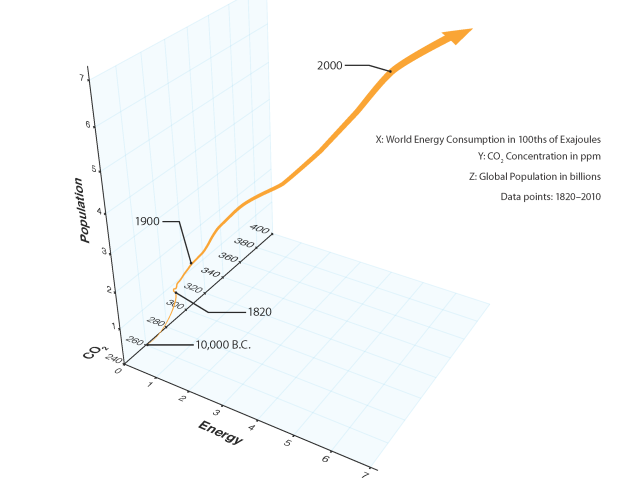 The image below is a plot of human population, total energy consumption and atmospheric CO2 concentration from 10,000 BCE to today. Note the coupled increase in all 3 quantities over the last century. "Maybe everybody runs into this bottleneck," says Frank, adding that this could be a universal feature of life and planets. "If that's true, the question becomes whether we can learn anything by modeling the range of evolutionary pathways. Some paths will lead to collapse and others will lead to sustainability. Can we, perhaps, gain some insight into which decisions lead to which kind of path?" As Frank and Sullivan show, studying past extinction events and using theoretical tools to model the future evolutionary trajectory of humankind--and of still unknown but plausible alien civilizations--could inform decisions that would lead to a sustainable future.